Justin W. Miller, M.D. is a highly skilled, board-certified, fellowship trained orthopaedic spine surgeon. Dr. Miller’s fellowship consisted of 18 months of training with world-renowned spine surgeons Rick Sasso, M.D., Thomas Zdeblick, M.D., Paul Anderson, M.D., and Cliff Tribus, M.D. Dr. Miller specializes in spinal disorders, such as: disc herniations, arthritic/degenerative processes, spinal stenosis, complex pediatric and adult kyphotic and scoliotic deformities, sports-related injuries, spondylolisthesis, myelopathy, infections, trauma, oncology, and revision surgeries. 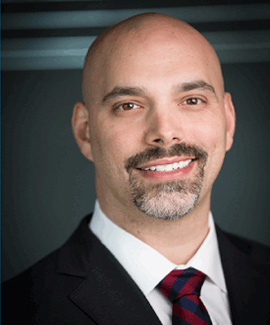 He has interests in minimally invasive spine surgery and cutting-edge spinal stealth navigation techniques, and has undergone extensive training in his field due to the complexity of spinal and neurologic disorders with a goal of providing the highest level of care to his patients. Dr. Miller is co-investigator on a number of current studies with the Indiana Spine Group. Research interests include degenerative disc disease, infection prevention, lumbar stenosis, and osteoporosis, to mention a few. Justin Miller, M.D. recently attended this year’s Cervical Spine Research Society meeting and was voted to become a member of the society. This is one of the most prestigious societies for advancement of cervical spine disease and is an honor and privilege to be a member of.